Envision this. You are cruising down the interstate, enjoying your new favorite song when all of a sudden, you see red and blue flashing behind you. Cautiously, you look in your rear-view mirror and, unfortunately, your fears are proved to be a reality. You immediately turn down the radio and release a heavy sigh of exasperation, pulling over to the shoulder of the road. Prepping the necessary documents, you roll down the window and await the consequences to come. As the officer walks up, he has a suspicious look on his face. He asks you if you’ve been drinking when in actuality you’ve just gotten off of work where consumption of any sort of alcohol was impossible. The officer persists with his questioning and asks you to get out of your car, so he can search it. Caught in the heat of the moment, you’re not sure what to do. Is he legally permitted to search your car and to what extent? Is there a reprimand if you refuse to do as the officer says? The following information can help you better understands your rights before you hand them over in exchange for a pair of handcuffs. As with any law, there can be situations that interpretations can be bent and twisted based on the specific circumstances at hand. That is why it is crucial you understand the terms and concepts that may be used against you. Coulter Law office, criminal defense attorney in Lafayette, IN, is here to help. Our law wants to provide us with the benefit of the doubt, and prevent self-incrimination from taking place. For this reason, officers are not allowed to search us unless they have reasons to believe we are guilty of any illegal actions. Examples of this can be the strong scent of alcohol on the breath of a driver or the stench of marijuana coming from inside the vehicle. Another situation where entrance into your car is permitted is based on the “Plain View” doctrine. If illegal objects or what are believed to be illegal objects are visible in your car, the official can search your car. If the officer has a probable cause, your 4th amendment protecting you from unreasonable search and seizure will then be disregarded. This is due to efforts to uphold the law and protect the greater good of society. Another circumstance that your car may be searched is for the promotion of the safety of both the officer and society. If an officer finds that you are acting suspiciously, demonstrating behaviors representative of hiding a weapon (reaching for the glove box), they can ask for you to get out of your car so they can conduct a search. Another occasion that an officer is permitted to search your car is in the case that they are promoting the overall well-being of society. For example, if an officer looks up your license number, as they usually do when they pull an individual over, and finds that you are wanted for a certain crime they may arrest you and then search your car. As soon as you are placed in those handcuffs, your security from being searched is relinquished. This last one can be a bit tricky. 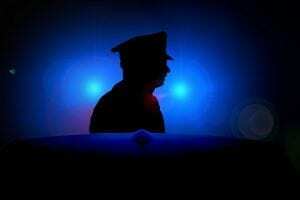 What if an officer demands you get out of your car and allow him to search it? Even though it may be intimidating, you can refuse the officer access to your car. If you are not being arrested or hiding a weapon and the officer doesn’t have probable cause to suspect you of illegal activity, they do not have the right to rummage through your car. Many people may struggle with this because you want to do as the officer asks, however, in the process of doing so, you may be giving up your rights. As you can see from the above information, being knowledgeable about your rights can save you from painful headaches. Coulter Law office, criminal defense attorney in Lafayette, IN wants to ensure you are aware of these rights. If you feel that you have experienced unjust treatment in the scope of an officer, reach out before to us before it is too late to act. We’re here to help you protect your rights.